In the 1920s and 1930s, photography became an immense phenomenon across Austria, Czechoslovakia, Germany, Hungary, and Poland. It fired the imagination of hundreds of progressive artists, provided a creative outlet for thousands of devoted amateurs, and became a symbol of modernity for millions through its use in magazines, newspapers, advertising, and books. It was in interwar central Europe as well that an art history for all photography was first established. Foto: Modernity in Central Europe, 1918 – 1945 aims to recover the crucial role played by photography in this period, and in so doing to delineate a central European model of modernity. 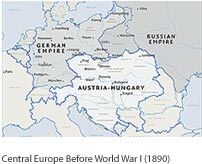 During and directly after World War I, four great empires (Germany, Austro-Hungary, Russia, and the Ottomans) crumbled precipitously, to be replaced by more than one dozen fledgling nation-states. The largely agrarian, in some cases semifeudal, societies of central Europe were thrust nearly overnight into crises of civil war, unemployment, or inflation — and beyond these crises into a world propelled by mass media and consumer economies. Becoming modern was attractive but also anxiety-provoking, and responses to this prospect ranged from jubilation to cynicism, from fond nostalgia to fantastic visions of the future. Within this context, photography emerged as a consummate expression of central European cultural expectations in the early twentieth century. In the dominant central European view, culture should be instructive and critically engaged with the issues of its day. The photographic image, mechanically generated, reproducible, and reusable, served as the ideal vehicle to promote or question new standards of living, aesthetics, and consciousness. Themes and styles spread through photography became “lessons” in the value of modernity to a public unsure of what modernity might mean or what it held in store. The tremendous acceptance of photography in central Europe has its basis in a number of shared institutions with strong roots in the region. Among them are applied art schools and polytechnics, commercial studios, and other places where photographic training flourished from the end of the nineteenth century. Of great importance as well were the dozens of amateur clubs, which also grew and diversified around 1900. Through their vast network of publications, exhibition spaces, and communal darkroom facilities for members, these camera clubs spurred the broader middle class to high artistic aspirations, setting a standard of aesthetic ambition that continued on more radical terms in the 1920s and 1930s. Although the avant-garde in these years viewed the amateurs’ often sentimental, atmospheric prints (collectively termed “art photography”) as moribund, the amateur circuit in reality expanded after World War I and provided an impetus or a foil to much new work. Most significantly, the illustrated press boomed in the 1920s and after. Publishing houses and printers, picture agencies, and graphic design firms multiplied across central Europe, and freelance photojournalists spread from there throughout the world. The press became a vast, extramural art school in its own right, educating readers in the “look” of modernity. 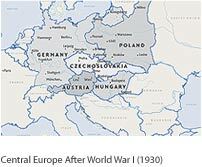 It also created an international chain of proliferating images that freely crossed state borders: Polish photomontages, for example, drew upon German magazines, which in turn were supplied by Austrian and Hungarian photographers and analyzed or imitated by members of the Czech avant-garde. Generous additional support provided by the Richard and Ethel Herzfeld Foundation, the Milwaukee Art Museum’s Friends of Art, Christine Symchych, Madeleine and David Lubar, The Robert Mapplethorpe Foundation, Inc. and an anonymous donor. Foto is organized by the National Gallery of Art, Washington, and curated by Matthew S. Witkovsky, associate curator of photographs. The exhibition is coordinated at the Milwaukee Art Museum by Lisa Hostetler, associate curator of photographs.